About a decade ago, my friend Linda Coss released her second cookbook, What Else is to Eat? 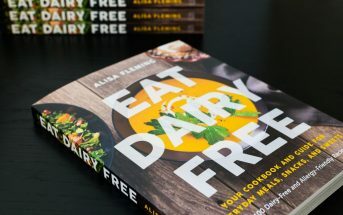 The Dairy-, Egg-, and Nut-Free Food Allergy Cookbook. Luckily, it’s a timeless cookbook of simple family meals, snacks, and treats. I bet her food allergic son, who’s now an adult, still enjoys making many of the recipes. And I still reference this cookbook from time to time. 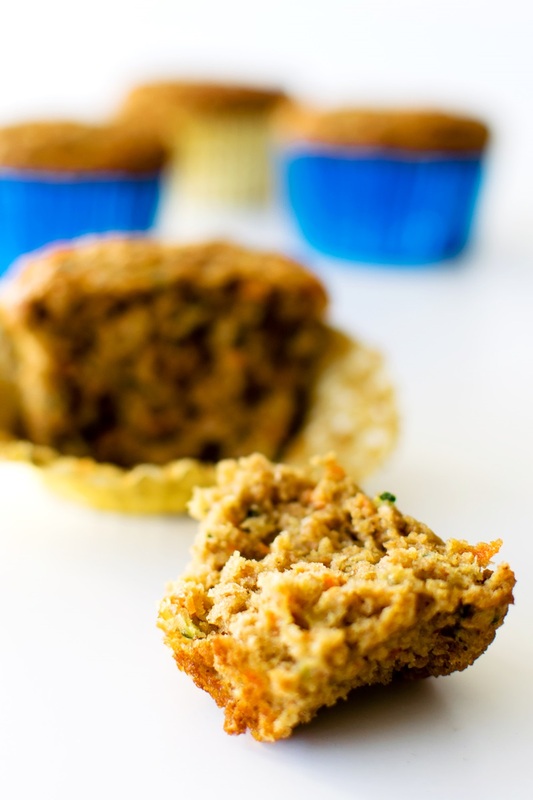 In fact, this week I decided to make these zucchini carrot bran muffins. I actually tested some of the recipes in What Else is to Eat for Linda before it was released. Just a few that we tried were the Pineapple Fried Rice (a brilliant blend of flavors), Kevin’s Carrots (maple glazed, yum! ), and the Dilled Pan-Roasted Carrots (can you tell I like carrots?). I wanted to test the Wholesome Vegan Snack Muffins, but didn’t have time and later forgot. Last week when sorting through my overflowing collection of cookbooks, I stumbled across Linda’s books. I remembered that Wholesome Vegan Snack Muffins recipe, and decided to promptly make them! 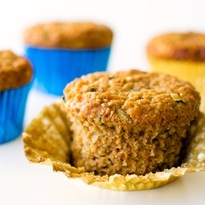 The zucchini carrot bran muffins recipe below is my adapted version. Linda says her recipe was “inspired by a giant zucchini that grew in my garden.” She thinks of them as a cross between zucchini bread, carrot cake, and bran muffins. I tend to agree! They’re sweet, but not too sweet, hearty, and fulfilling. For a special treat, try frosting these zucchini carrot bran muffins with some dairy-free cream cheese frosting. Or for breakfast, a shmear of plain dairy-free cream cheese, dairy-free buttery spread, or seed butter is a nice complement. Carrots – Since the carrots are chopped, I just used the large holes for grating. And the large holes are best for the zucchini. It’s too watery for the small holes. If you opt to use a food processor for grating, you can also use the machine to chop the vegetables. Salt – Linda’s recipe had no added salt. I made a few batches, and we liked the salted versions best. It helped to round out the flavor, bring out the spice, and tame any sharp sweetness. We thought 1/2 teaspoon was best, but I also reduced the baking soda for high altitude. Baking soda adds a little sodium. You might want to start with 1/4 or 3/8 teaspoon if you are concerned about too much salt. 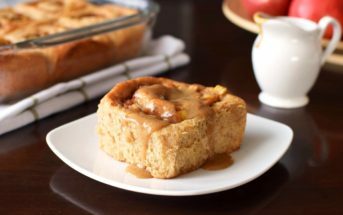 Sugar Options – Linda uses a combination of white and brown sugar, but I opted to use all brown sugar, which does add a touch of rich sweetness. If you want a lower glycemic option, you can substitute coconut sugar for both sugars. The muffins will be a little less sweet. Eggs vs Egg-Free Option – I chose to use eggs since we are at high altitude and we are okay with eggs. At higher altitude, egg-free or gluten-free baked goods are more fragile. But the original recipe is egg-free. You can see Linda’s time-tested egg-free combination in the recipe notes. If you are at high altitude, you might want to half the amount of baking powder called for in her egg substitute. If the muffins still deflate at all after rising, reduce it more. You can see in the picture just above that the feature muffin is slightly depressed in the center. That’s because I was testing and used a little too much leavener in that batch. 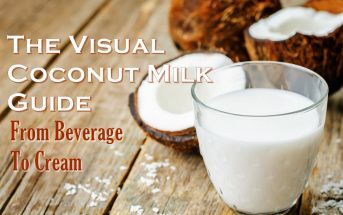 By ingredients, this recipe is dairy-free / non-dairy, optionally egg-free, nut-free, peanut-free, soy-free, plant-based, optionally vegan, and vegetarian. 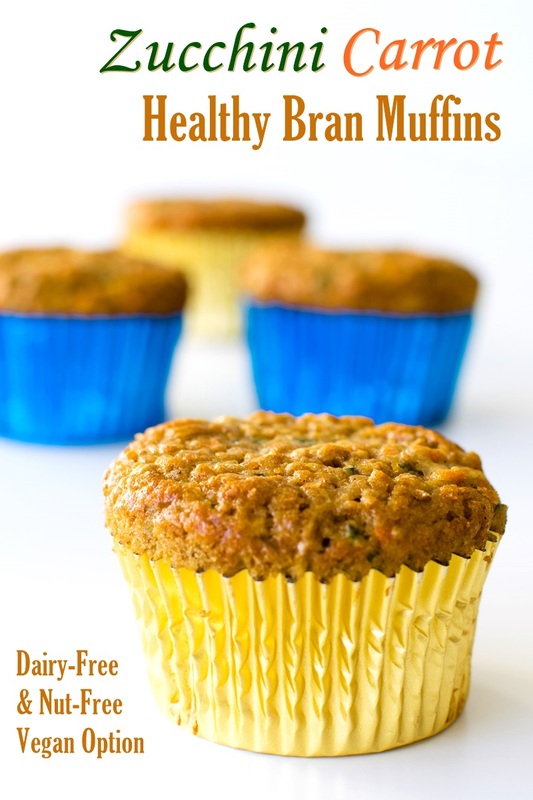 Several years ago, my friend Linda Coss shared a sample recipe for wholesome vegan snack muffins from her dairy-free, egg-free, nut-free cookbook What Else is to Eat?. 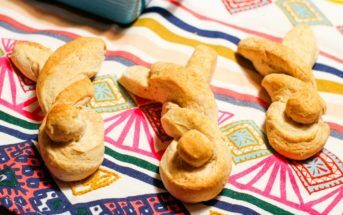 I recently whipped up this recipe, with a few minor changes and some new options. Preheat your oven to 375ºF and line 16 muffin cups (18 if using eggs) with cupcake liners. 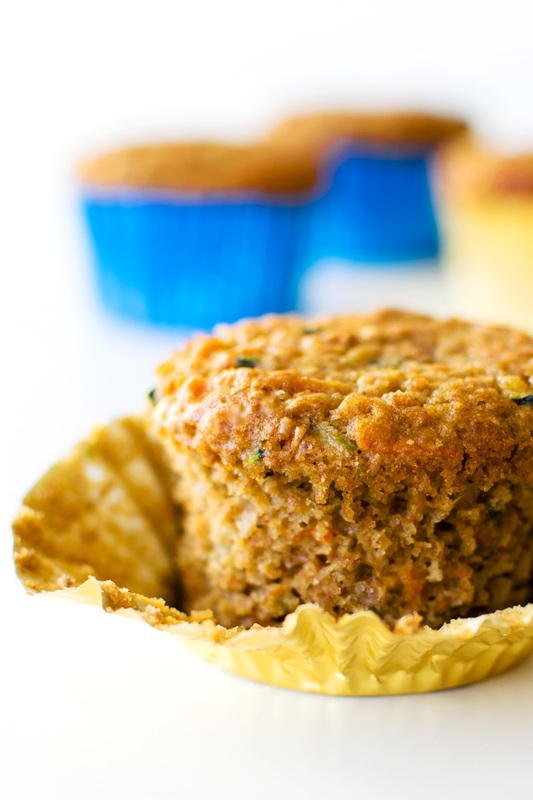 Chop the grated zucchini and carrot so you get even smaller bits (this helps to avoid stringy pieces in the muffins). In a large bowl, whisk together the flour, bran, baking soda, cinnamon, allspice, and salt. In a large mixing bowl, mix the eggs or egg replacer, sugars, and oil with a hand mixer until combined. Add the orange juice, zucchini, and carrot and briefly mix to combine. Add the dry ingredients and stir until just combined. Divide the batter between your prepared muffin cups, filling them close to the top. Bake for 25 to 35 minutes, until a toothpick inserted into the center of a muffin comes out clean. The muffins take less time to bake with eggs, more time with the egg replacer. Let the muffins cool for 5 minutes in the cups, then remove them to a wire rack to cool completely. These muffins do take on moisture because of the vegetables. They will keep in an airtight container at room temperature for 24 to 36 hours. Refrigerate or freeze them for longer storage. Egg Replacer: For the original recipe, Linda uses 3 tablespoons oil + 3 tablespoons water + 2 teaspoons baking powder, whisked together. This equals 2 large eggs. 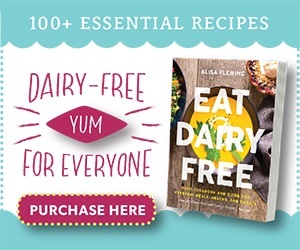 For More Dairy-Free Recipes Get the NEW Go Dairy Free! This is such a great idea, Alisa! I’m a huge carrot cake fan, and the addition of zucchini makes it even better. Oh my! What a great muffin! I love the combo of zucchini, carrot and bran together! I bet it brings lots of flavor to the muffin. It really does – such a great wholesome flavor. 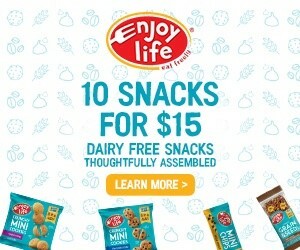 These would be great for grab-n-go breakfasts or added to my kids’ lunchboxes! Definitely. Who wouldn’t love a muffin surprise in the lunch box? They look AMAZING! My partner is a massive fan of carrot cake, I think he will like these ones too! Yum! These sound delicious. I’ve never used that method for replacing eggs before, I’ll have to try that. Love all your recipe tips and tricks. I have to give Linda credit for that one, but it’s a guaranteed winner!